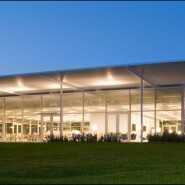 A square in plan, the pavilion is supported by a steel frame around its perimeter, which holds floor-to-ceiling panes of high-performance glass. 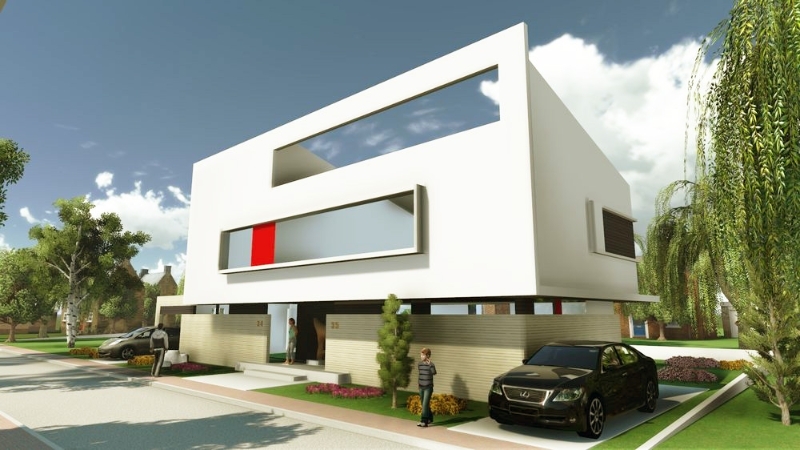 The column-free interior is interrupted only by a core that houses restrooms, storage, and the mechanical room a level below. 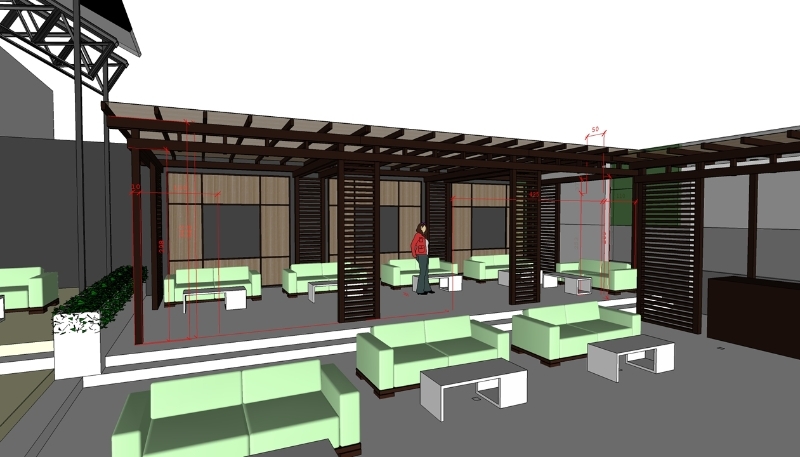 wall, shrouded skylights, sprinklers, and the perforated metal panel ceiling which partially exposes them. 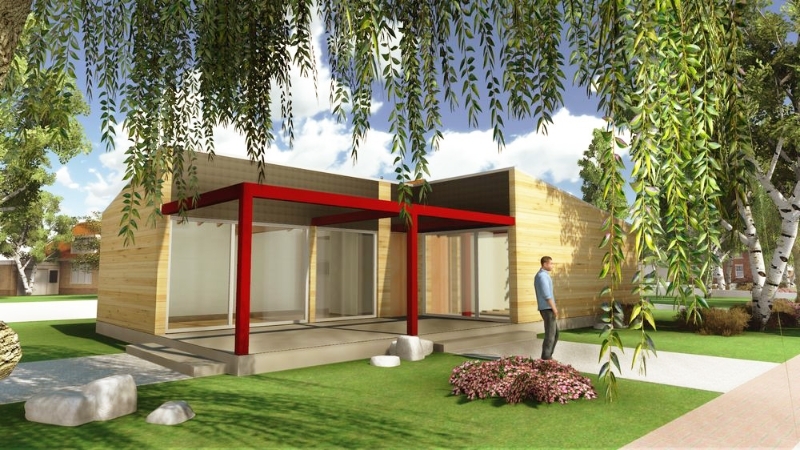 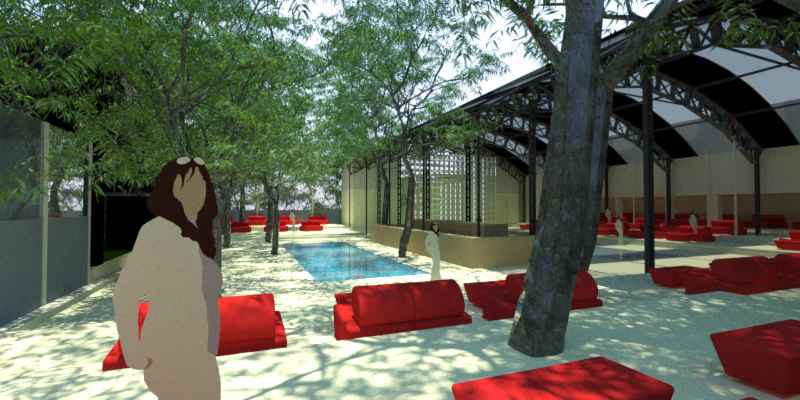 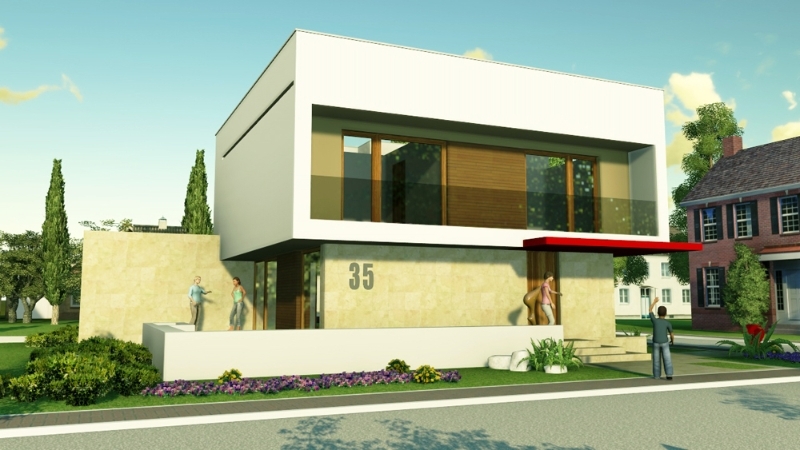 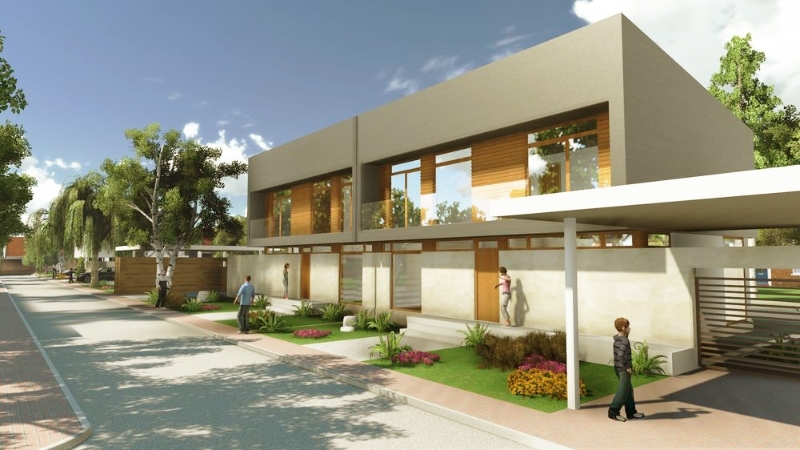 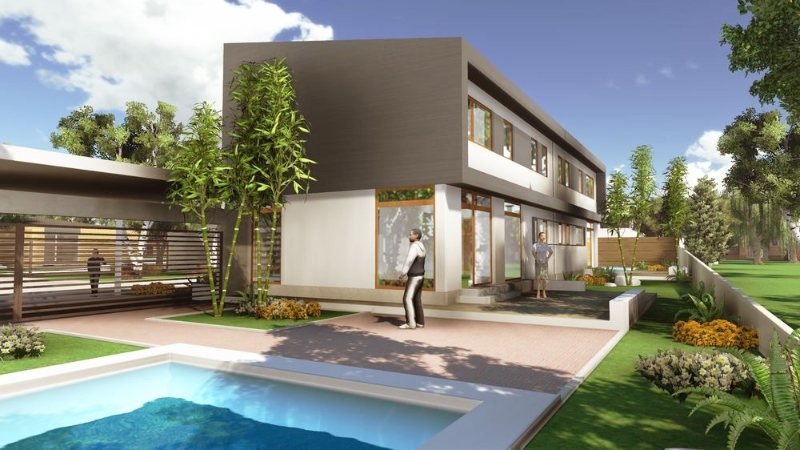 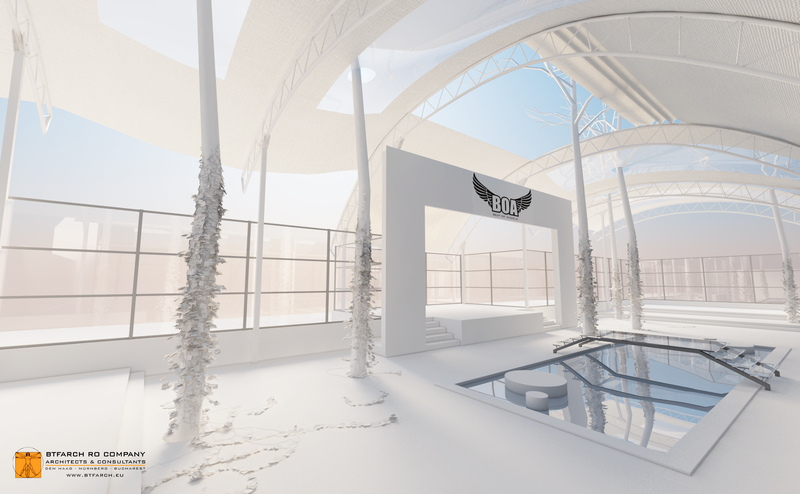 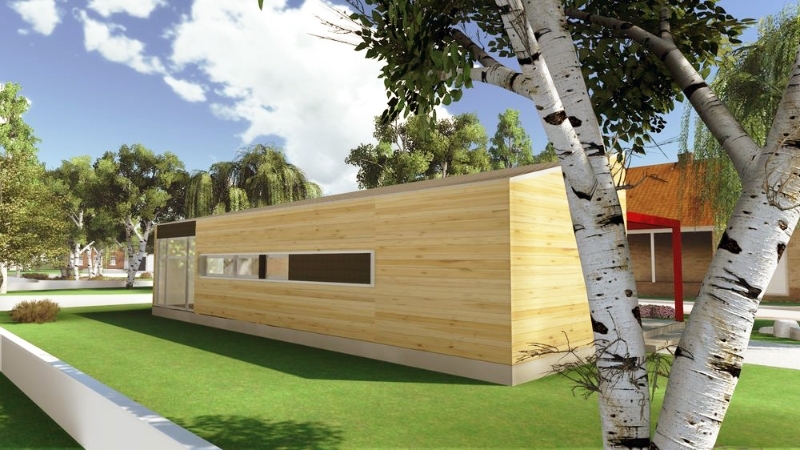 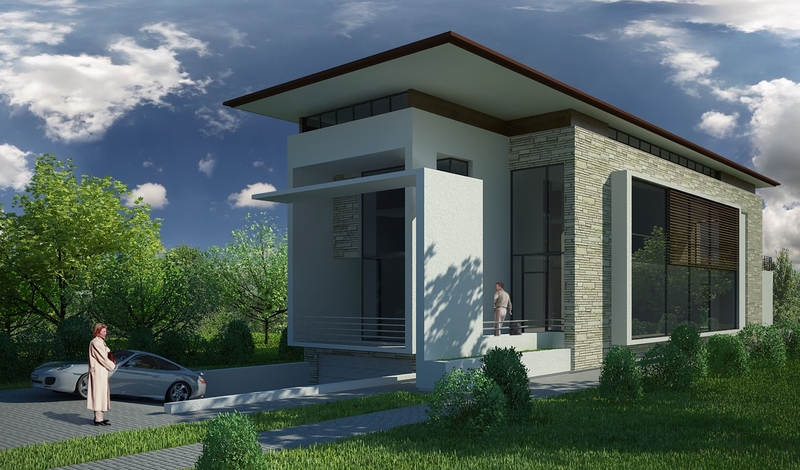 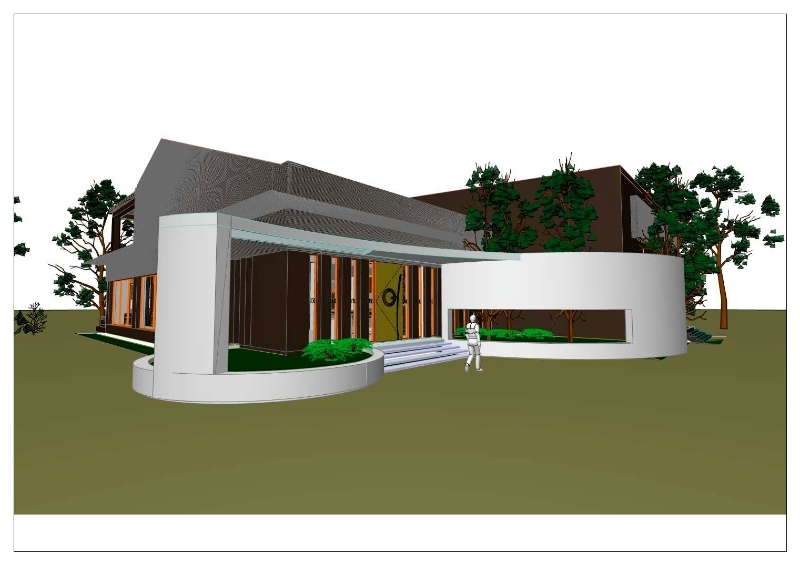 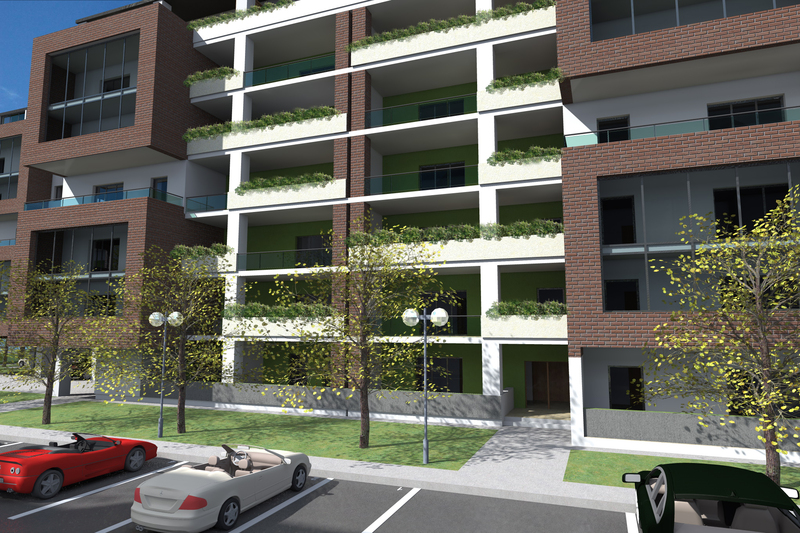 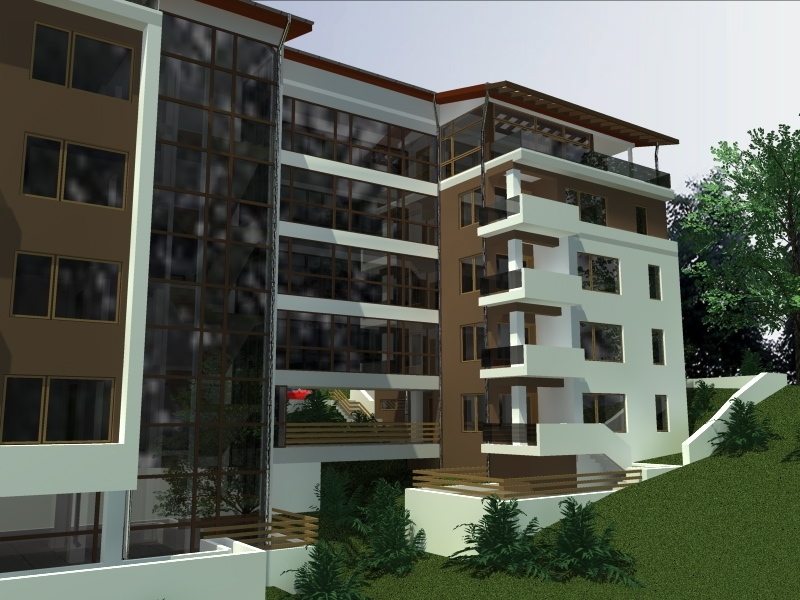 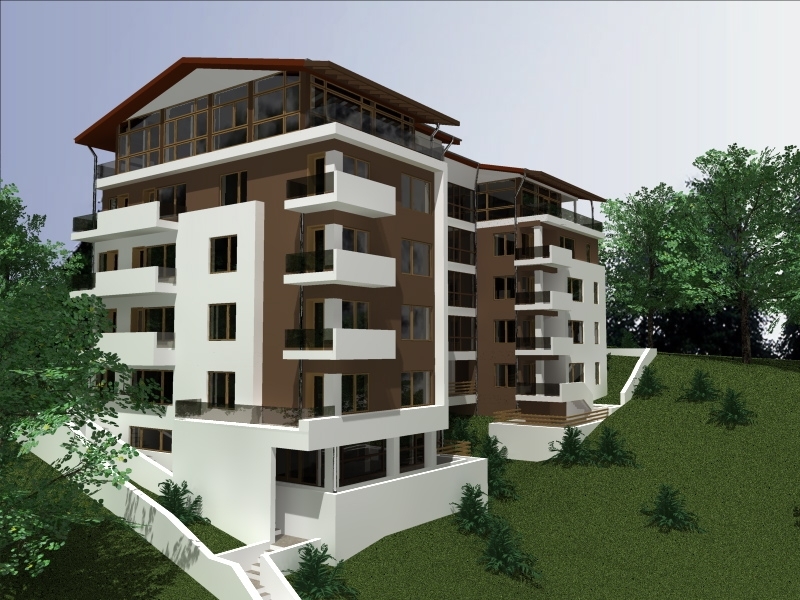 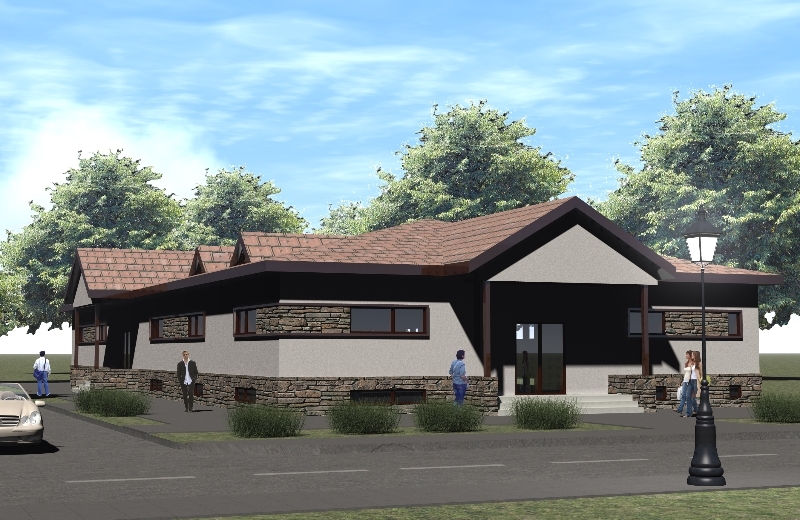 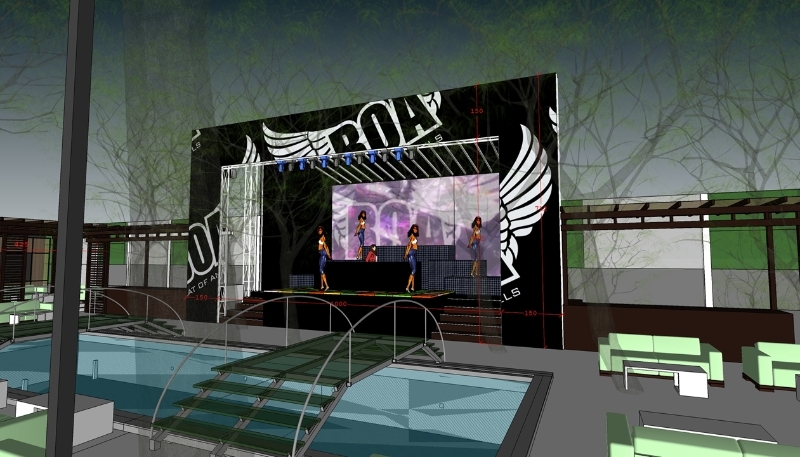 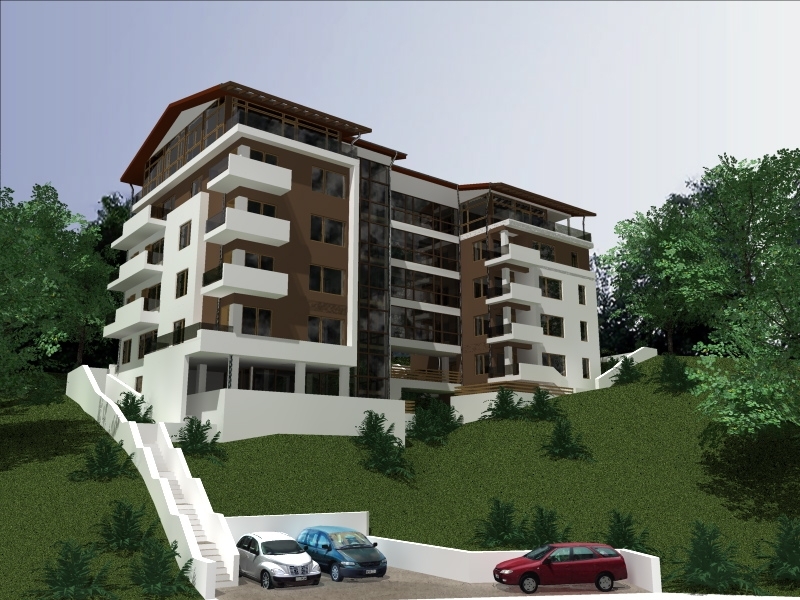 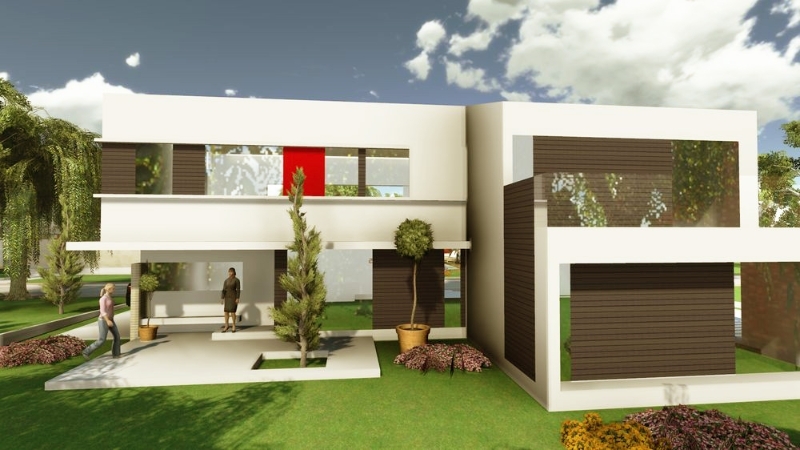 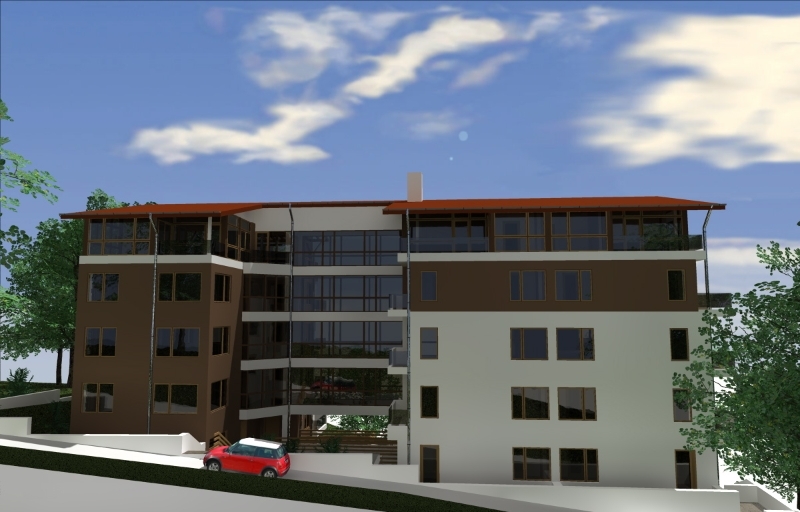 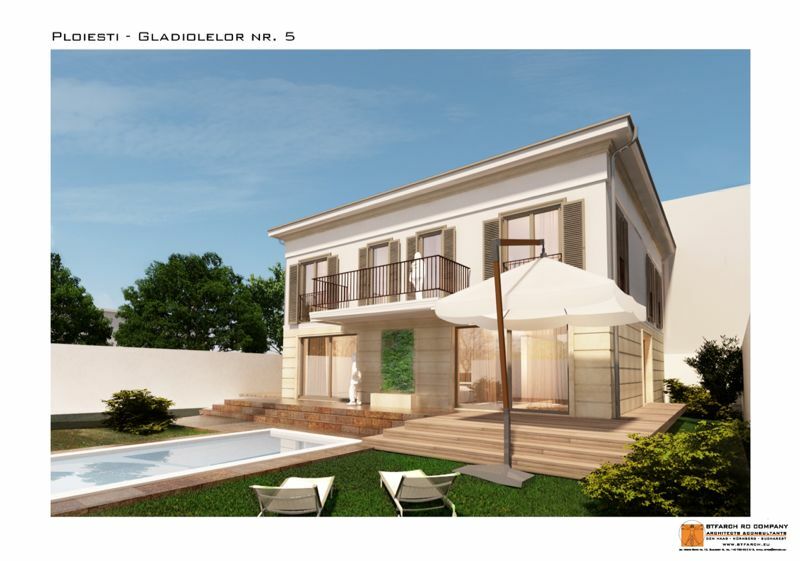 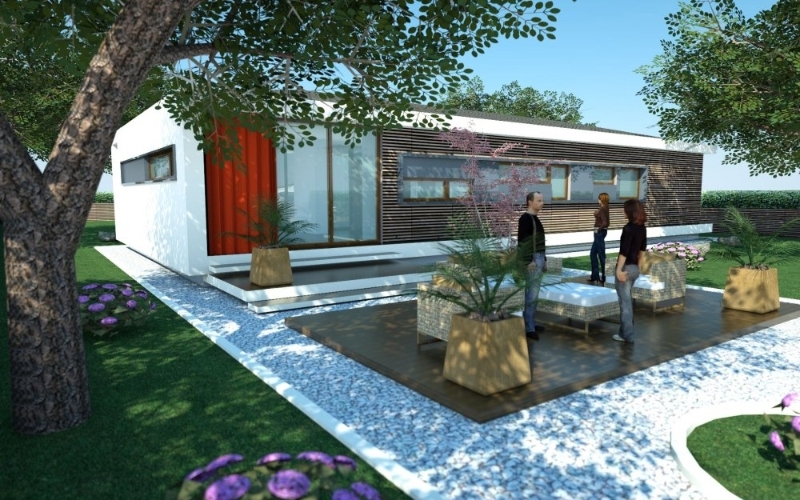 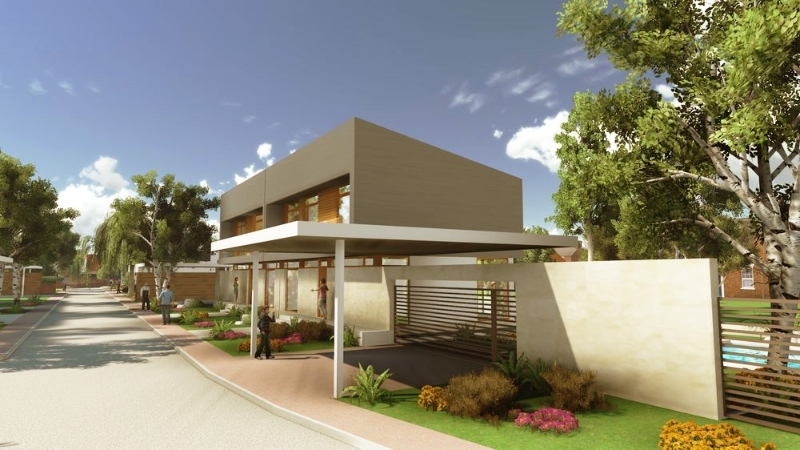 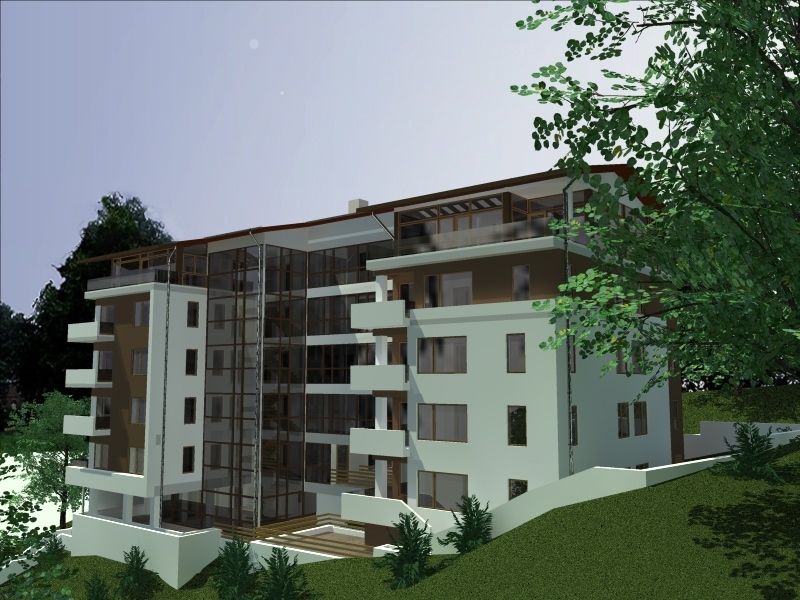 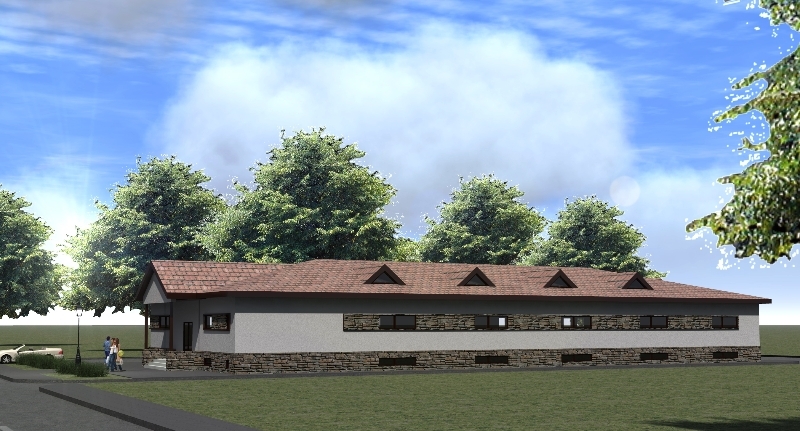 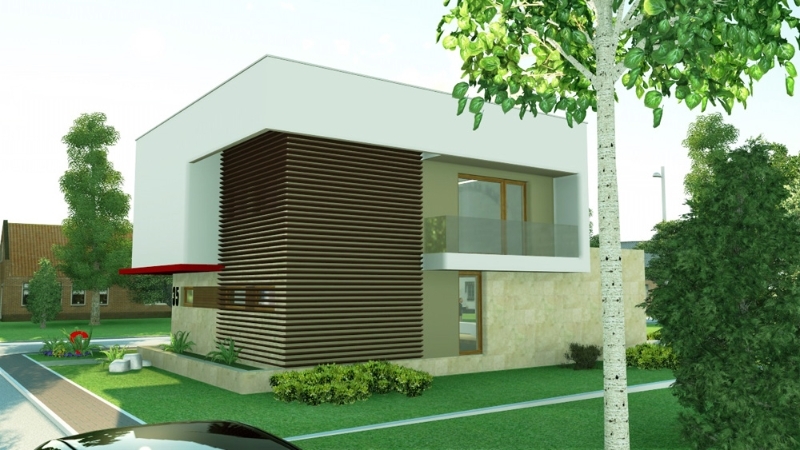 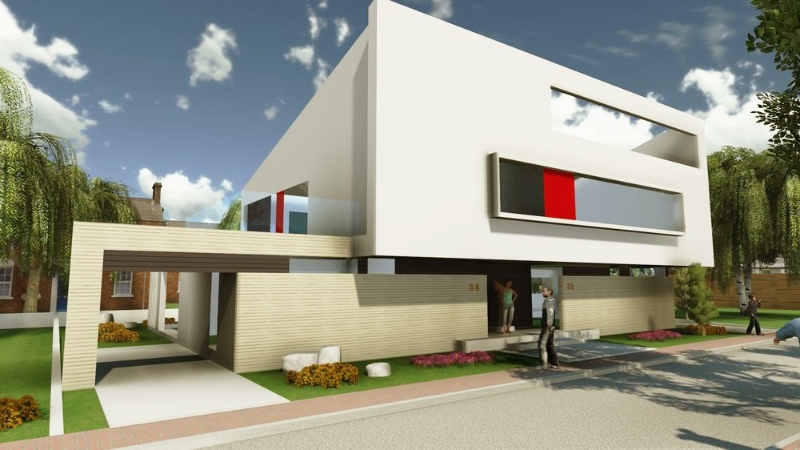 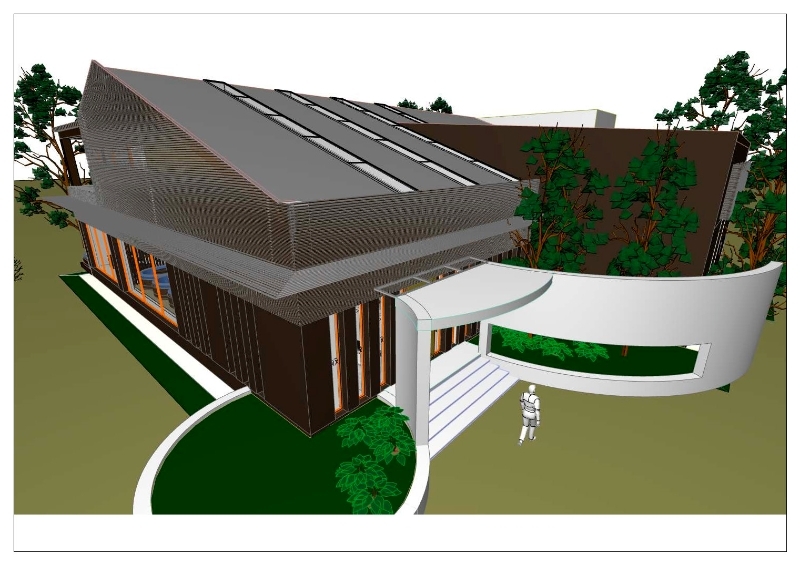 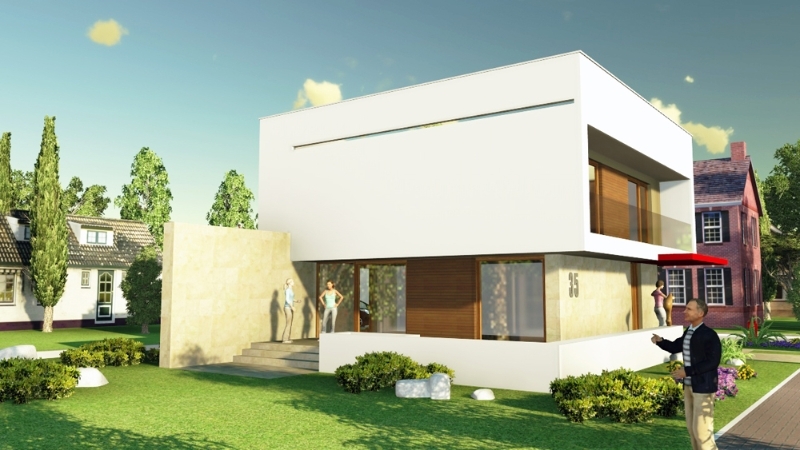 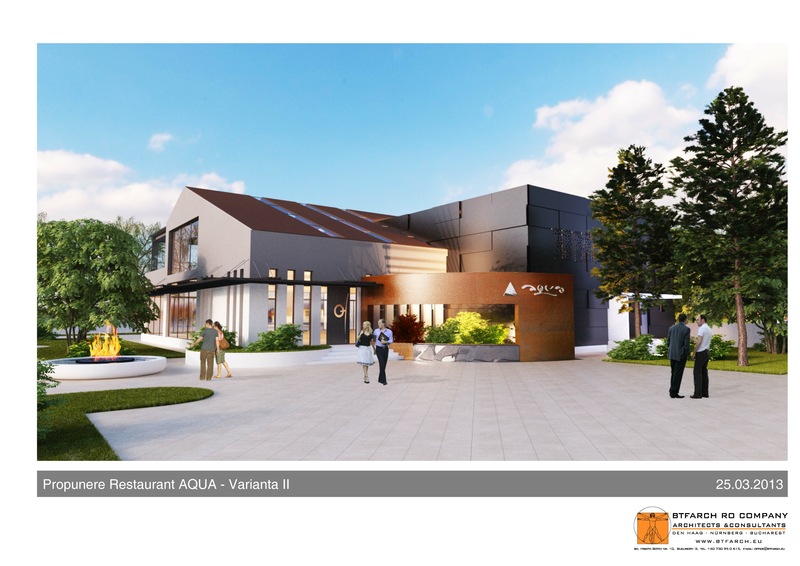 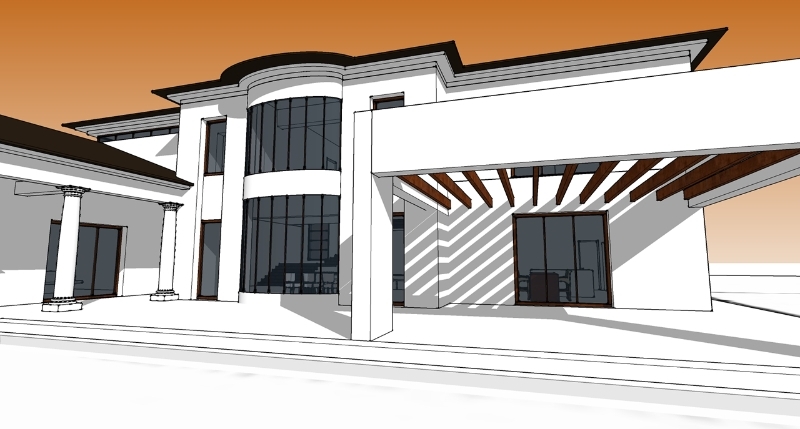 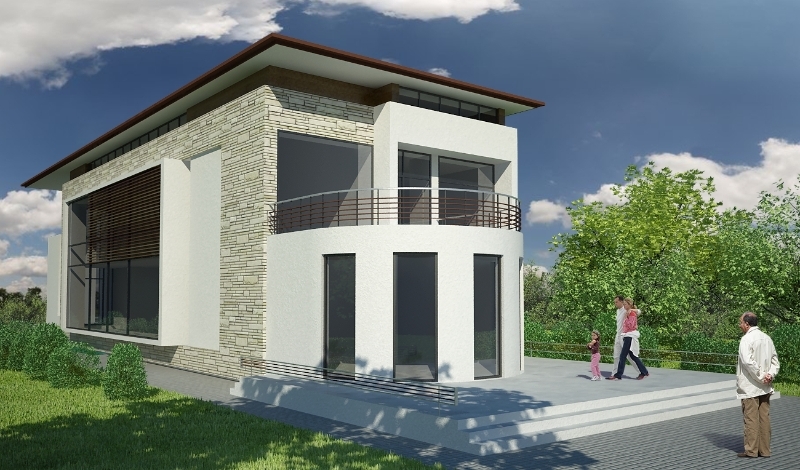 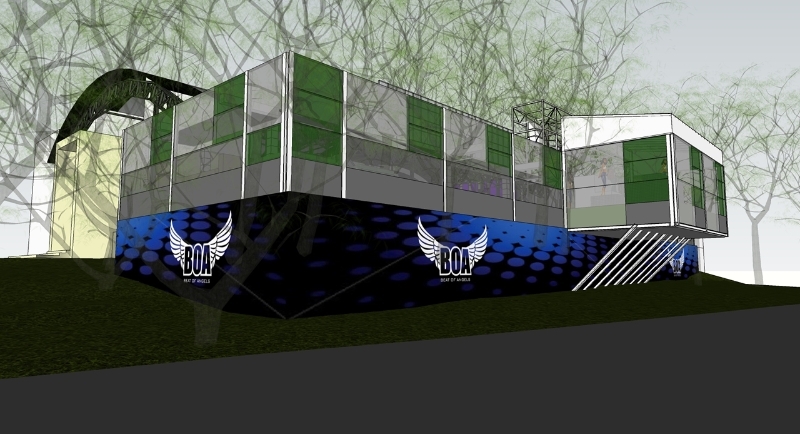 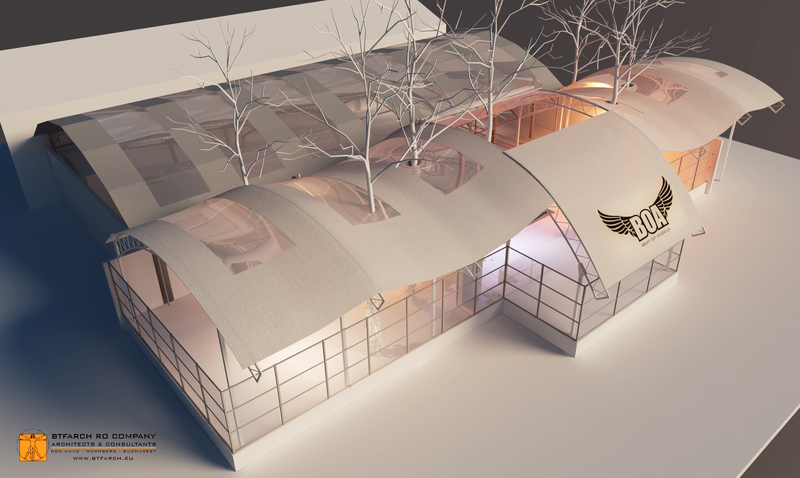 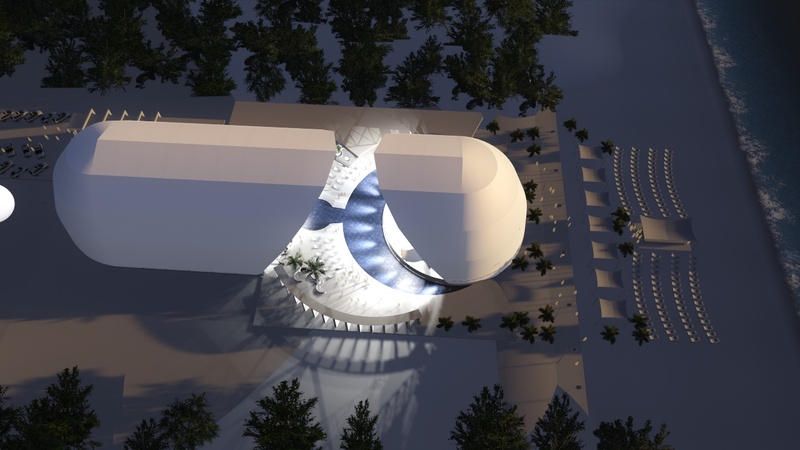 The building was detailed with AutoCAD and analyzed with Risa3D.